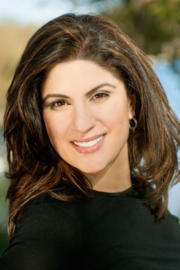 Nadia Hashimi was born and raised in New York and New Jersey. Both her parents were born in Afghanistan and left in the early 1970s, before the Soviet invasion. Her mother, granddaughter of a notable Afghan poet, traveled to Europe to obtain a Master’s degree in civil engineering and her father came to the United States, where he worked hard to fulfill his American dream and build a new, brighter life for his immediate and extended family. Nadia was fortunate to be surrounded by a large family of aunts, uncles and cousins, keeping the Afghan culture an integral part of their daily lives. Nadia attended Brandeis University where she obtained degrees in Middle Eastern Studies and Biology. In 2002, she made her first trip to Afghanistan with her parents who had not returned to their homeland since leaving in the 1970s. It was a bittersweet experience for everyone, finding relics of childhood homes and reuniting with loved ones. Nadia enrolled in medical school in Brooklyn and became active with an Afghan-American community organization that promoted cultural events and awareness, especially in the dark days after 9/11. She graduated from medical school and went on to complete her pediatric training at NYU/Bellevue hospitals in New York City. On completing her training, Nadia moved to Maryland with her husband where she works as a pediatrician.She and her husband are the beaming parents of four curious, rock star children, two goldfish and a territorial African Grey parrot. Nadia Hashimi is currently considered a "single author." If one or more works are by a distinct, homonymous authors, go ahead and split the author. Nadia Hashimi is composed of 4 names. You can examine and separate out names.